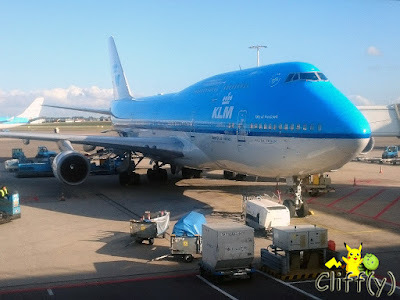 Schiphol Airport in Amsterdam, the Netherlands is undergoing a major renovation this year. Nevertheless, I had fun exploring the transit area before catching my flight to Jakarta, Indonesia. My BFF and I stopped at Dutch Kitchen to rest our legs and satisfy our hunger pangs. 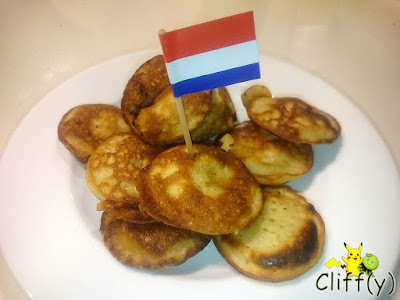 Poffertjes is a traditional Dutch mini pancakes that's typically served with butter and powdered sugar. A dozen of it served at the eatery didn't come with sugar though. Nevertheless, they were pretty savoury and fluffy. 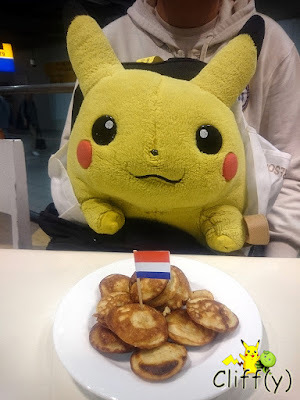 Pika's advice: Those with young children, you may be interested to know that it's written on the menu that "kids smaller than 1 meter tall eat for free!" 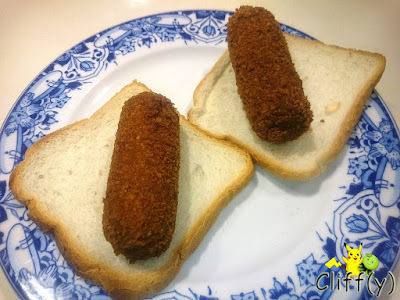 Served on top of a boring slice of white bread that's labelled as "country bread" on the menu, each of the two croquettes were tasty nonetheless. Its outside layer was truly crunchy. Inside it was a creamy concoction of white sauce with presumably ground beef, if not other red meat. It was heart-warming. 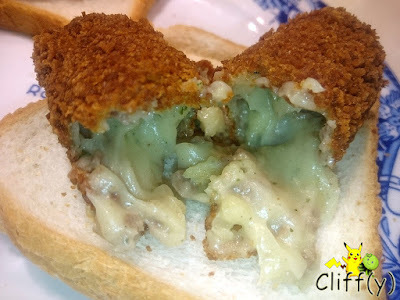 Dutch love their kibbeling (lit. cod). 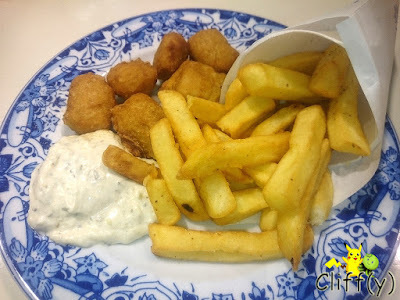 The deep-fried fish nuggets were enjoyably moist on the inside, but the outside could be crispier. Those, together with the nice thick-cut fries, weren't oily. 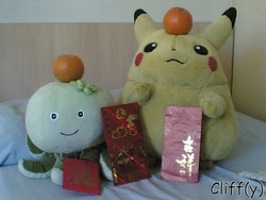 Both of them went well with the sweet and zesty remoulade sauce made of mayonnaise, mustard and garlic, among others. 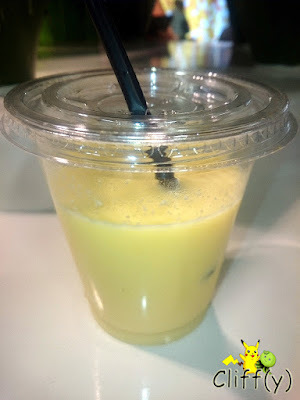 It was an interesting combination of two tropical fruits with yogurt, I thought, which turned out to have a significantly higher content of orange juice. The result was a not-so-thick drink that was definitely drinkable, but not as nice as I thought it'd be.